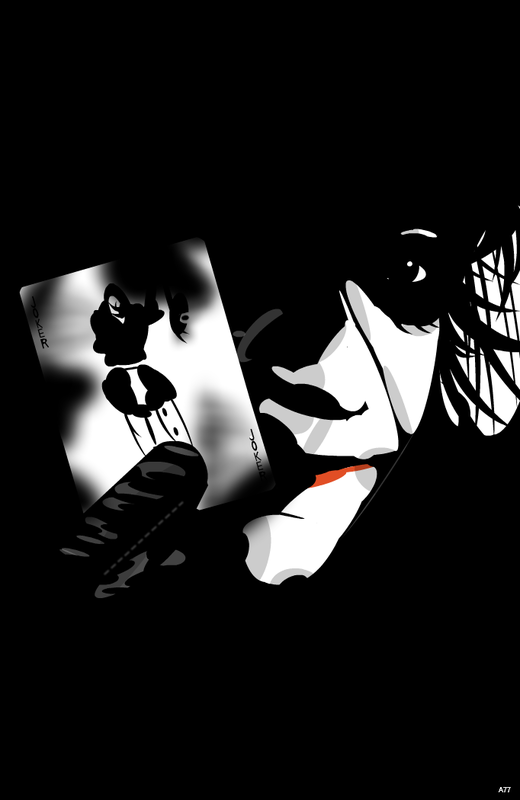 Do not forget: there is no Batman without Joker and there is no Joker without Batman. Creating this strip was 1,5 hours max. The hardest part was the card,because there is no option in SG to rotate textboxes. So I have made every letter from shapes. But I have waited 3 hours to upload this! I am annoyed like hell! This strip is a reply to The Knight, BARMAN, The Crow, Why So Serious?, I can't take my mask off..., The Real Batman, New avatar., Batman., The Agent of Chaos, Joker Rider, Aces, JjoOKkEerR..., Smile..., this is gonna be sweet!, Batman & Robin, Layout - Tryng Harley Queen (Arlequina)..., SG Playing Card, Calling Batman, Batman, Poker, Adelantamiento, Joker, The heir of the black gold, Le Baron, You know my name...., Original Gangster, Card of Hearts, Dance With The Devil, Why? Gratz on OMG thumbs up! A well deserved OMG! Gratz! Faved! gratz again on another OMG! !